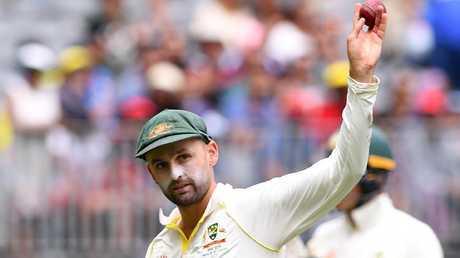 THE prospect of Nathan Lyon overtaking Shane Warne to become Australia's leading Test wicket-taker, once as unbelievable as the latter's ball of the century, is now far from fantasy. If Lyon, who has 334 Test wickets from 82 Tests, continues his current form he will surpass Dennis Lillee's mark of 355 scalps this summer. Lyon, the leading wicket-taker of the current series, with 16 at 19.43, has two Tests to play against India before facing Sri Lanka in a two-Test series. Glenn McGrath (563 Test wickets) and Warne (708 Test wickets) will take some catching but there is no sign of Lyon, who has struck career-best form and recently turned 31, slowing down. The gap seems immense but Warne had 366 scalps from 84 Tests at the end of the 2000-01 season, at which point he was aged 31. Warne retired from Test cricket at age 37. Being a finger spinner, Lyon should have plenty of cricket left in him. Former offspinner Ashley Mallett, who claimed 132 Test wickets for Australia, believes Lyon could "easily get 700 wickets, probably more". "As long as he doesn't get injured and keeps himself fit, he can go for as long as he wants with the way he's bowling," Mallett told AAP. "He's never put on much weight. He's a fit bloke. "He's a tremendous bowler. He's the linchpin of the attack. "The last year or so he's been bowling beautifully. What I have noticed is that batsmen are just anchored to the crease, they're not trying to change the length. "It's the same as when batsmen played Warney, they just couldn't use their feet." 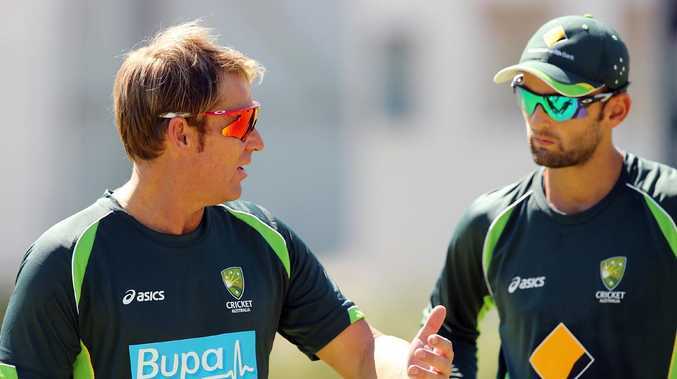 Lyon shifted from Young to Canberra to Adelaide before his big break came while working as a groundsman at the Adelaide Oval some eight years ago in Australia's Twenty20 competition. The GOAT's teammates speak of another transformation in recent years. Lyon, formerly a timid operator full of self-doubt and fearing the axe, now oozes well-placed confidence that can he consistently rattle the world's best batsmen. 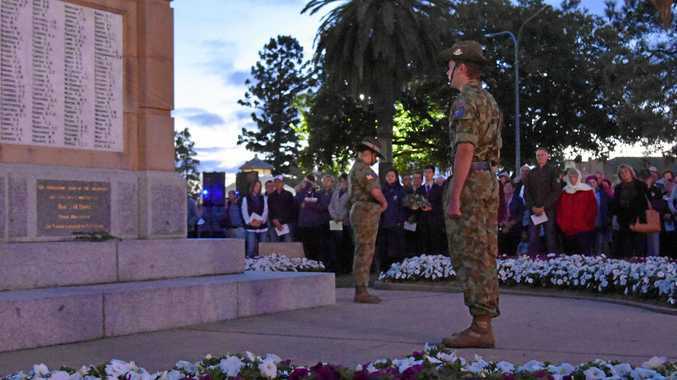 Lyon walks, talks and bowls like a spearhead. The idea of Australia playing a four-pronged pace attack is now unthinkable, no matter how much of a paceman's paradise the pitch is. Nobody has dismissed Virat Kohli more often in Tests. Lyon's set-up and dismissal of India's captain in the final innings of the second Test, the most crucial breakthrough required as Australia hunted a series-levelling victory, was textbook stuff. "He's operating on an attacking line outside the off stump, to right-handers," Mallet said. "Early in his career he was bowling a bit straight but now he's bowling a beautiful attacking line." Mallet's only complaint is that Lyon, comfortably the most experienced player in the XI, should be Tim Paine's understudy. "Nathan's shown, especially in the last year, great leadership qualities," he said. "He leads on the field and demonstrably through his bowling, he just seems to be the natural vice-captain." Lyon was on the cusp of being dropped in 2016 but has since bounced back in style. Australia considered declaring while Lyon copped a bouncer barrage in their second innings of the second Test, underlining his importance. 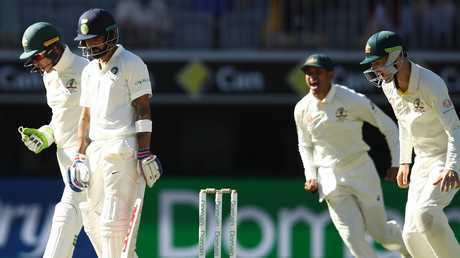 Kohli and Paine were both full of praise for Lyon after he was named man of the match in Perth. "It does seem like he is getting better, I feel like at any stage you can throw him the ball," Paine said, also highlighting the offspinner's improved batting, which has netted him a series average of 76. Kolhi applauded his tormentor in Perth for bowling "really, really well".